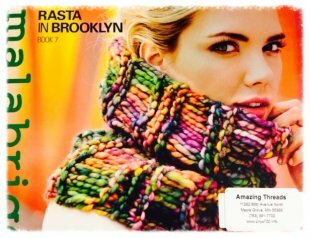 Amazing Threads-So Inspired and the Holidays are NEXT! 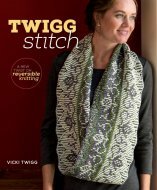 We had a fabulous weekend with Sandy Barnes from Shibui and Jane Slicer Smith with SigKnits & Trendsetter yarns. Thanks to out customers for making each event so fabulous. 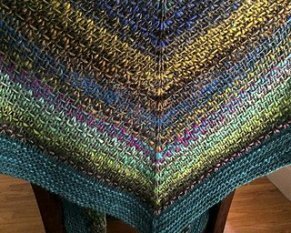 Your love of fiber and design is inspiring. 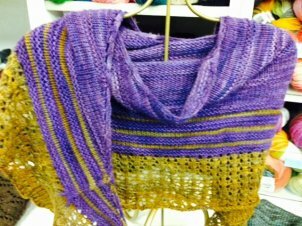 We got to see a new fiber from Shibui that is perfect for spring and all season-wear as well. 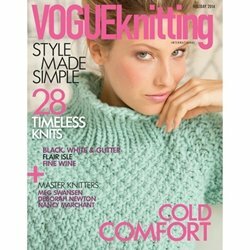 Yes, I know we have barely touched the fall and winter seasons and already spring yarns are being introduced. 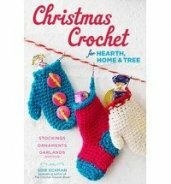 It is great to be a knitter or crocheter in today's world of fibers. Check out some great new books for fall. 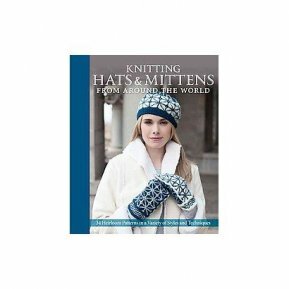 Love the hats and mittens in several new books and am intrigued by Twigg stitch. 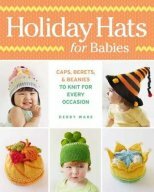 I am pouring over the Holiday Hats for Babies with McKinley in mind and have to admit that the Christmas Crochet is a bit intriguing. 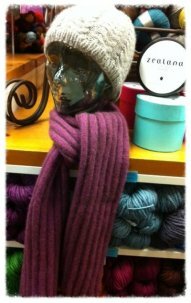 One of our BEST SELLING Yarn Tasting Projects is the Malabrigo Silkpaca Scarf. 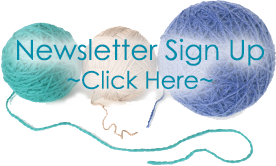 Grab a kit for yourself in the shop or on-line. 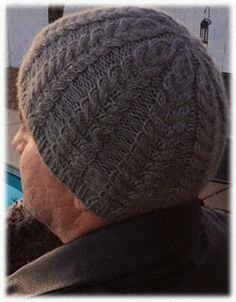 Just click Malabrigo above! 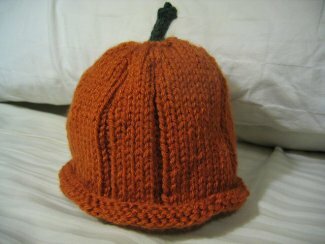 I am finishing pumpkin hats for Austin & McKinley this week in celebration of the wonderful fall season. 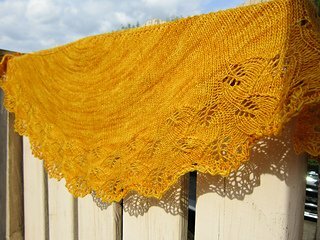 Also finished Gingko Shawl & 1 of 2 new hat designs for My Mountain. Busy knitting week for me. 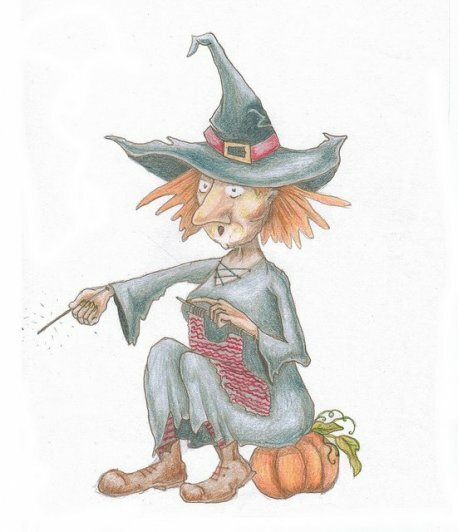 Angel is still working on her Poems & Robes - with a deadline of our retreat in a couple of weeks. 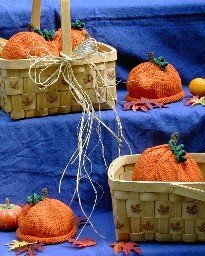 She also finished 2 fabulous new hats for our Giftables event on Sunday, November 3. Our next BIG EVENT is "Giftables" on Sunday, November 3: 12-4 pm. 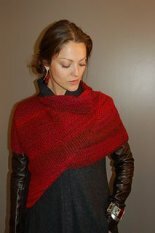 Join Michelle for a 3 session Knit-Along (KAL) on Sally Melville's L'Enveloppe starting Sunday, October 26 from 12-2 pm. 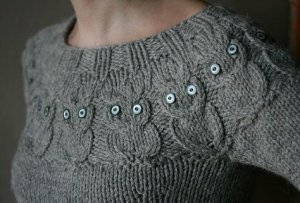 This has been a hot project in our shop and this is your chance to join a group knitting on the same project. KAL is free. 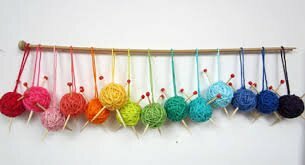 Yarn must be purchased at Amazing Threads. 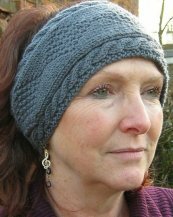 Gansey Headband starts Saturday, November 1 - great class to learn texture and get ready for a MN winter. 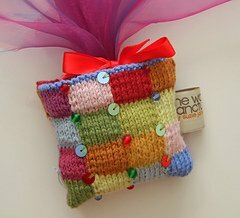 Great gift project. Join Sandy for the Free HELP DESK this Sunday, October 26 from 12-2 pm if you have questions or need help on projects purchased at Amazing Threads. Help Desk is provided for quick fixes or when you are "stuck" on your project and need a bit of help to continue. The HELP DESK is not a class. 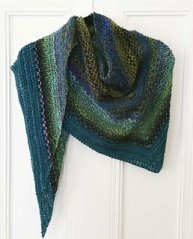 Love, Love, Love the new Noro Woven Stitch Shawl by Z Apasi. 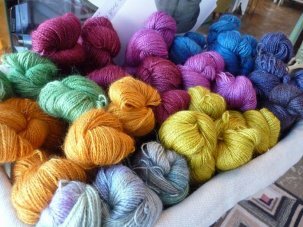 It only takes 2-3 skeins of Noro Silk Garden or Silk Garden Solo. 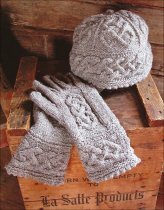 Since Austin was born I have had so much fun knitting hats and mittens. 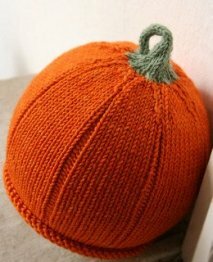 Here are a couple of cute pumpkin hat patterns sure to please kids of all ages. 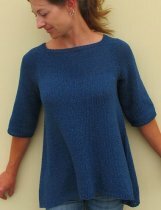 I knit them in Plymouth Superwash Merino - fabulous yarn for accessories and garments. 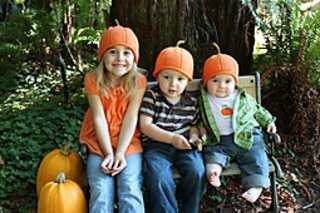 Can't wait to try on the new HATS on my two WONDERFUL grandchildren. I get to see them BOTH this week.